If you’re looking for something different to do this holiday season, how about moving beyond the traditional malls for some shopping at a few Hendricks County locations you might not normally visit…like an apple orchard. I love the idea of finding one-of-a-kind gifts, while supporting the artists, craftsmen, and small business owners who live and work in Hendricks County. The Hendricks County Convention and Visitors Bureau originally developed the Ho Ho Holiday Tour as an opportunity for motorcoach groups to visit our favorite attractions, but it’s also something you can plan on your own with family and friends this year. When I put together the Ho Ho Holiday Tour, I knew we had to include Plainfield Tri Kappa’s Gingerbread Christmas, and I would encourage you to do the same. It runs from 9 a.m. – 3 p.m. Dec. 3 at Plainfield High School. I’ve been in Tri Kappa for 15 years, and as a former member of Delta Pi Chapter in Plainfield, I’ve worked several Gingerbread Christmas shows in the past. It’s the oldest and largest juried craft show in our area, and you’re always sure to find a wide variety of high-quality items. You can have lunch at the new Bread Basket Café & Bakery in Danville. Judy Sexton and family recently relocated their Coatesville restaurant to a cozy bungalow in downtown Danville. They will serve up some of their homemade soup, bread and a yummy dessert. Shopping hint: The honey oat bread makes the best French toast! 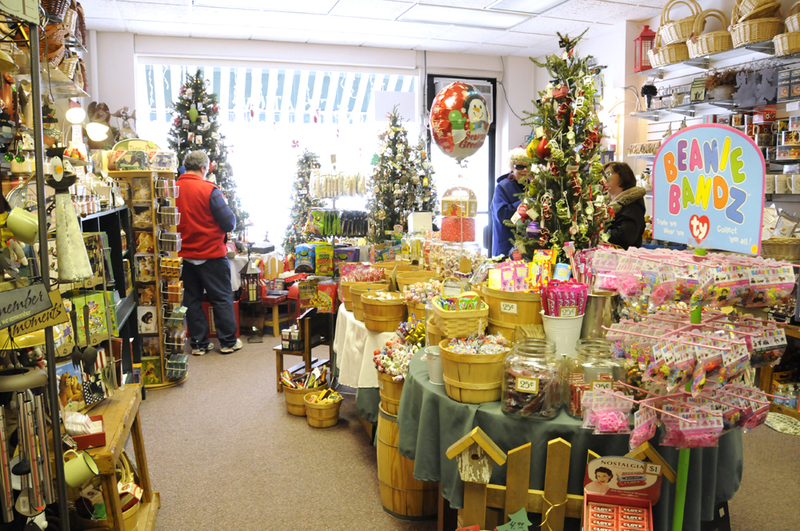 After lunch, be sure to spend time visiting the quaint shops on the Historic Downtown Square. I picked up these kooky holiday glasses for stocking stuffers at Carla’s Creations and Gifts last year, and look forward to seeing what she has in her store this year. Another one of my personal favorites is the new Confection Delights chocolate store. Pamela Powell-Warden is an artist of a different kind, and she’s making some of the best tasting confections that can be found anywhere. Frazee Gardens in Brownsburg and the farmer&apos;s market at Beasley’s Orchard in Danville are also recommended stops. I attended the Holiday Open House at Frazee Gardens last week, and they are packed with landscaping and holiday decor and gift items. A lot of people may not realize that Beasley’s Orchard is open during the winter, but their market is a great place to shop during the holidays. It’s been a tradition in our family for my husband, Brad, to visit Beasley’s market every December to buy his stepdad’s favorite jellies and jams. This is only a small sampling of the holiday happenings taking place in Hendricks County. If you would like more suggestions on places to shop and dine, please contact me and I would love to help plan your outing like I do for the many motorcoach planners who turn to the Hendricks County Convention and Visitors Bureau for all their needs!